You may call our consultants for advise on what you can order for your last-minute packet meal arrangements. For orders received after 6pm, or Saturday after 1pm or Sunday/Public Holiday - for next day : additional $40. For orders for buffets on the day itself : additional $50 to $80. For order received after 6pm, or Saturday after 1pm or Sunday/Public Holiday - for next day: additional $15. 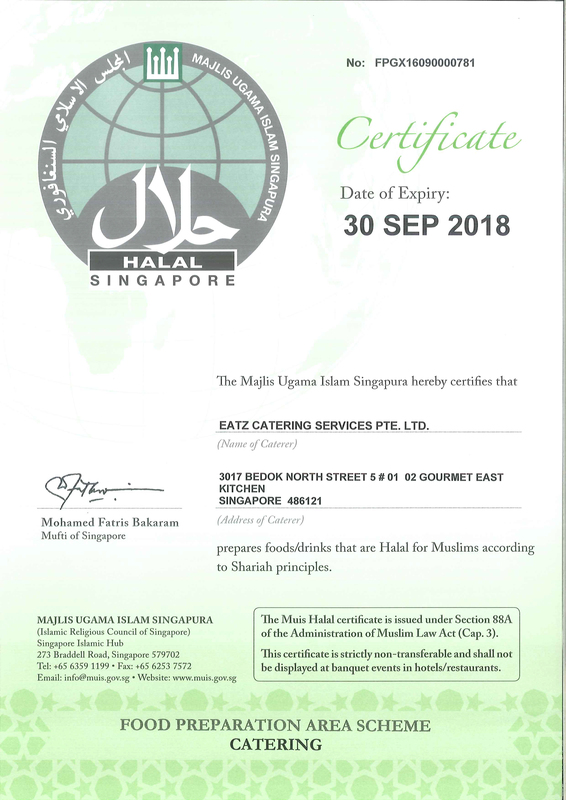 Eatz reserves the right to accept or reject any orders depending on the availability of resources. All last minute orders must adhere to closest timings set out by eatz Catering.